The 135,000-acre Galiuro FireScape covers remote country with little Wildland-Urban Interface (WUI) and concentrates on very large-scale burns. The challenge on this landscape is related to prescribed burning in designated wilderness areas using helicopter ignition. 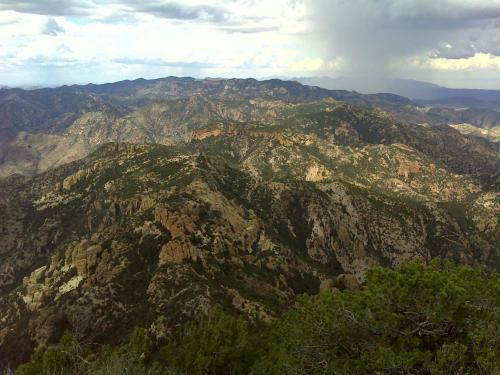 The Coronado National Forest, BLM, TNC, UA, and grazing permittees are project parties. Additional fire history studies are incorporated into the science side of this project. An interdisciplinary team has been assembled, and the NEPA process should get underway by early 2014.